At Pamper Parties Sligo, we take pride in giving our clients blissful treatments. Grace and Kim specialise in bringing splendour to you. With our Hen Party Package, you can Basque in an amazing holistic treatment and get a glorious beauty treatment leaving you both looking and feeling good. We will arrive 15 minutes before the selected time to introduce ourselves and set up. All you will need to do is point us to the rooms and we can get the party started. We will be doing the nails and mini massages in the “Party Room” where all the girls can spend time together while getting their nails done. And the massage treatments will be carried out separately in another room. Then the pampering can begin…..
Also known as a Shellac. Have a lasting polish applied that you can leave for 10 - 14 days. Make sure your eyes pop on your night out with an application of cluster lashes that will simply wash off with your makeup. Choose a colour to have your nails look perfectly pampered for your night out. You can remove it with polish remover at your own convenience. 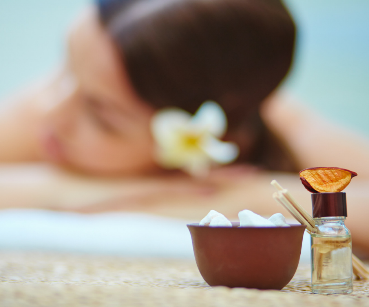 Aromatherapy involves catering a massage to your specific needs through the use of the therapeutic properties of certain plants in essential oils. Used with massage the healing properties of the essential oils are absorbed through the skin into the body where they can work their magic! Reflexology uses pressure points on the foot which relate to parts of the body through energy zones running throughout the body. Putting pressure upon these points can stimulate the imbalanced parts of the body, bringing the body into balance again. Holistic Massage takes both body and mind into account, it is not only about taking care of those tired and worn out muscles, but helping your mind relax and be at peace. Here, you can choose the kind of Holistic Massage you want, whether you want a tension massage to work out all those tight knotty muscles, or you can choose to have a pure relaxation massage. The choice is yours. Our mini massages go together with a two-week gel manicure option. 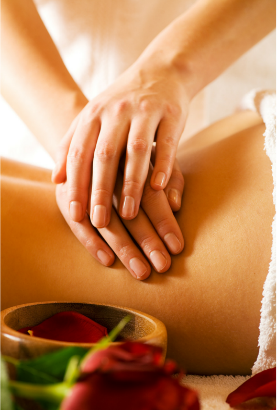 These include soothing hand and arm massages, invigorating foot and leg massages and renewing foot and hand massages. Just that little bit of relaxation to finish off a stunning beauty treatment. 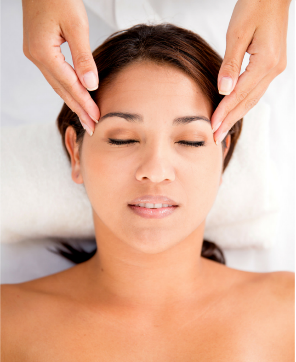 Indian Head Massage is a part of the traditional Indian Ayurvedic Medicine. This massage is not an intensive massage, but a deeply relaxing treatment done outside the clothes with use of oils on the head only. Through the years we can gain an incredible amount of tension in our muscles, a lot of the time we ignore it and let it build as other things take priority. However, this can be a huge mistake as that build up of tension increases the chances of muscle strain and various other soft tissue injuries. Unfortunately, it is all too often that we realise through injury how important it is to maintain our muscles as we depend on them for our movement. Sports Massage cannot only be used to remedy a soft tissue injury but also to prevent one. Each member of your group can choose one full treatment of either massage or beauty, followed by a mini treatment in the other.